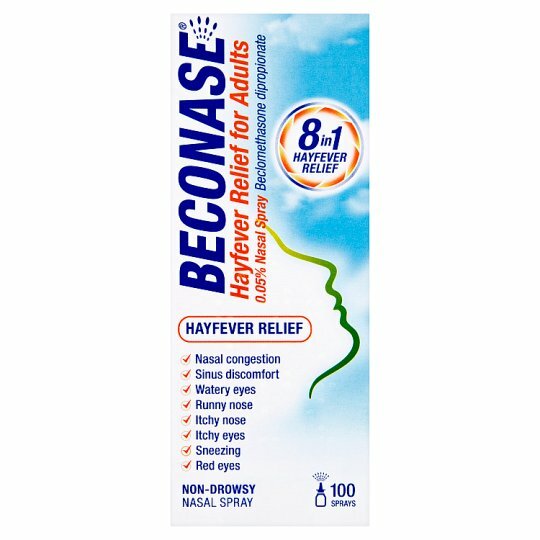 Beconase Hayfever Relief for Adults Nasal Spray has an anti-inflammatory action which quickly brings relief from allergy symptoms such as: Nasal congestion, watery eyes, runny nose, sneezing, itchy eyes, itchy nose, red eyes, sinus discomfort. Do not store above 25°C., Do not store in a fridge., Keep the container in the outer carton to protect from light. 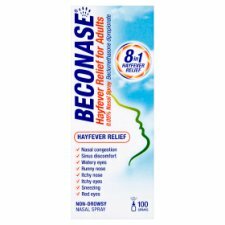 Adults aged 18 years or over: Two sprays into each nostril every morning and evening. 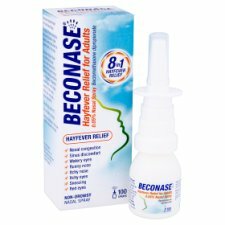 Once your symptoms have improved you may be able to reduce the dose to one spray into each nostril morning and evening.